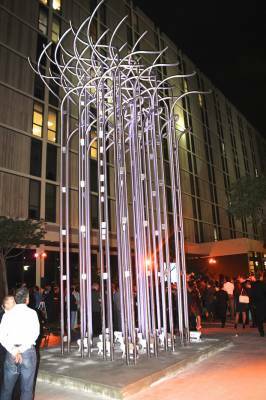 Related Group's chairman & Ceo Jorge Perez, an internationally acclaimed argentinian sculptor, Julio Le Parc were gathered to celebrate the unveiling of the monumental sculpture "Torsion" located in Miami's dynamic Brickell Neighborhood on the site of a soon-to-be- developped luxury residential property. 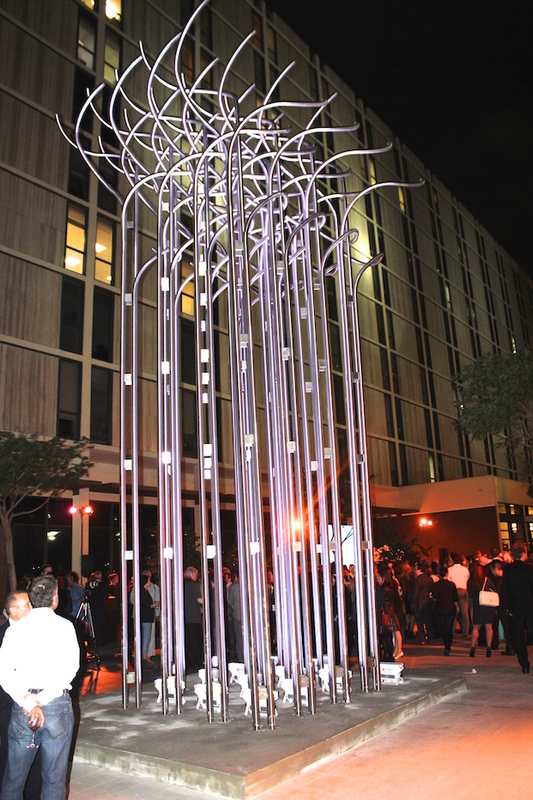 This sculpture "Torsion" is the centerpiece of the Related Group's latest public art project. Julio Le Parc (born September 23, 1928) is an Argentina-born artist who focuses on both modern op art and kinetic art. Le Parc attended the School of Fine Arts in Argentina. A founding member of Groupe de Recherche d’Art Visual (GRAV) and award winning artworks, he is a significant figure in Argentinean modern art. Julio Le Parc was born into a family of limited economic means. At age thirteen he moved with his mother and brothers to Buenos Aires. 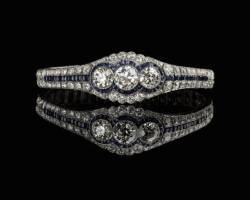 While there he attended the School of Fine Arts. Upon arriving to Buenos Aires, Le Parc attended the School of Fine Arts. While taking classes at the School of Fine Arts, Le Parc continued to show interest in artistic avant-garde movement in Argentina. The School of Fine Arts is where Le Parc, along with fellow artists Hugo Demarco, F. García Miranda, Francisco Sobrino, Horacio García Rossi, Molnar, François Morellet, Sergio Mǫyano Servanes, Yvaral (Jean Pierre Vasarely), and Jöel Stein formed the Groupe de Recherche d’Art Visual.